Unfortunately, everyone sped off yesterday before Adam could get his group selfie sorted! So it’s just me with Harti, Adam and Chi-Yin! 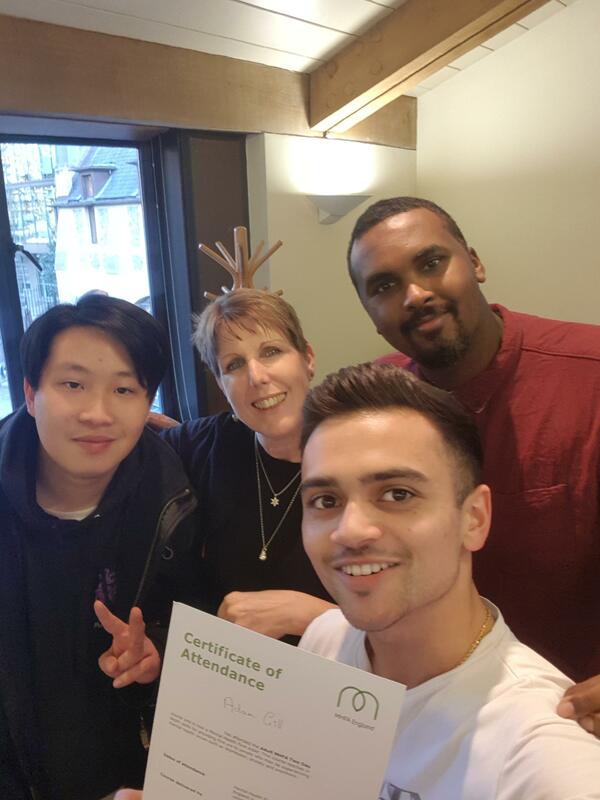 In total five excellent first aiders in mental health are now hitting their employer sites including a Head of Department with a global organisation who said……….